And the security hits keep on coming! Recent hacks with Twitter and other social media platforms have users on edge as stolen credentials and personal information is showing up for sale on dark net markets. It seems that mass redundant password usage is a huge security issue – not for only social media but for entertainment and shopping accounts like Netflix and Amazon. 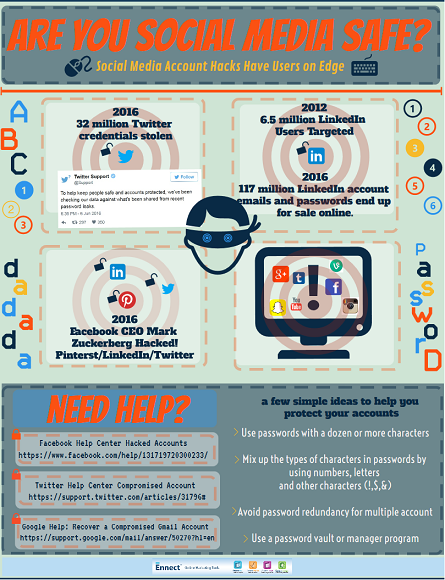 Check out this infographic and articles below for further information on how the social media realm is reacting to these hacks and a few tips on how to protect your online accounts.